Discussion in 'Automotive Manuals, Softwares' started by truck, Apr 27, 2018. 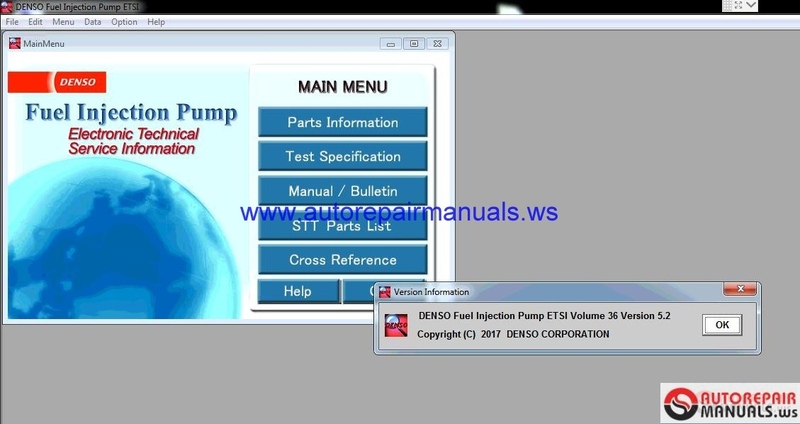 The DENSO Fuel Injection Pump ETSI system contains Parts Information, Test Specifications, Service Manual / Service Bulletins and the diesel fuel injection pump STT Parts List. It also contains a Cross Reference search function. 1. The P/N Search function can be used when a pump assy part number is known. Open the [P/N Search] menu. 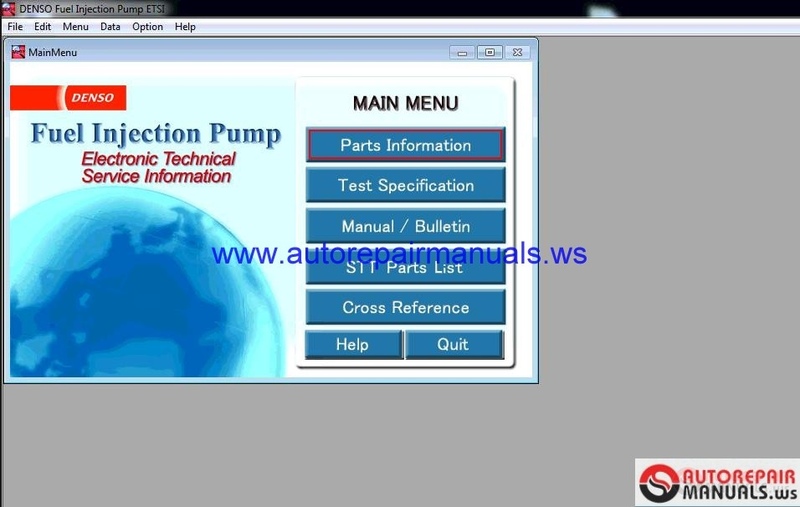 Input the pump assy part number to search the parts list. 2. The Application Search function can be used when the pump assy part number is unknown. Open the [Application Search] menu. Select the vehicle name, manufacturer, etc. 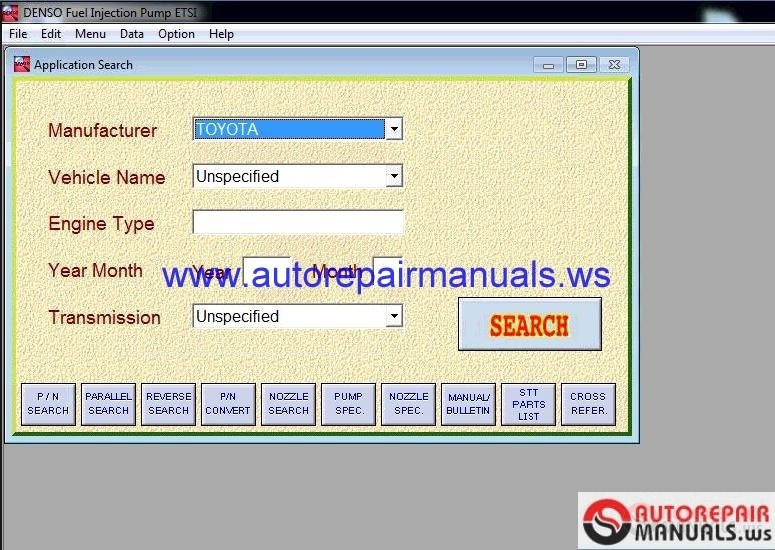 to search for the pump assy part number using vehicle information. Then search the parts list. 3. The Parallel Search function can be used to check the part differences between 2 pump assy part numbers. Open the [Parallel Search] menu. Input the 2 pump assy part numbers to search for part differences. 4. The Reverse Search function can be used to search for a pump assy part number from internal parts (or component parts). Open the [Reverse Search] menu. Input the internal (or component) part number to search for the pump assy part number. 5. The Manufacturer to DENSO P/N Conversion can be used to search for part number to be converted from car/engine manufacturer part number. Open the [P/N Conversion] menu. Input the manufacturer part number to search the equivalent DN part number. 6. The Nozzle Search function is used to search for a nozzle part number from a nozzle type. Open the [Nozzle Search] menu. Input the nozzle type to search for the nozzle part number (or select the nozzle type from the pull-down menu). 1. The Pump Test Spec. Search function can be used to search for pump test specifications. Open the [Pump Test Specification] search menu. 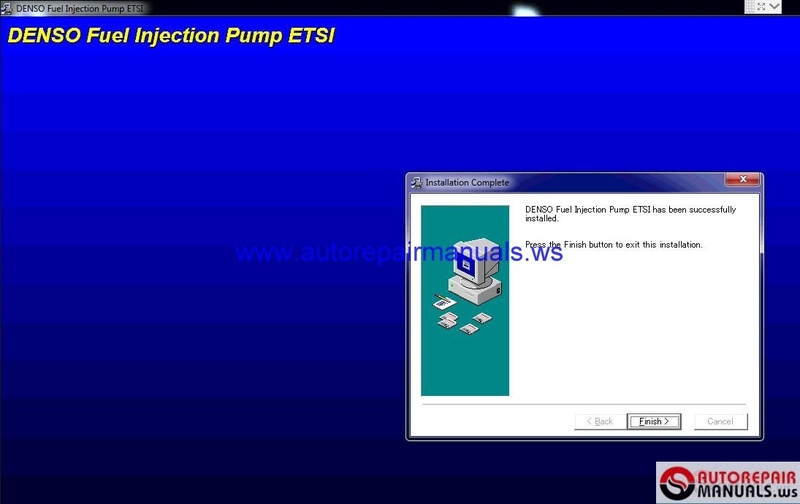 input a pump assy part number and then select the "Test Specification" item box to search for pump test specifications. 2. The Nozzle Spec. Search function is used to search for nozzle specifications. Open the [Nozzle Specification] search menu. Input a nozzle & nozzle holder part number (or a pump assy part number) to search for the nozzle specifications. 3. The Pump Test Spec. Search function is used to search for pump (or boost compensator) assembly dimensions. Open the [Pump Test Specification] search menu. Input the pump assy part number and then select the "Assembly Dimension" item box to search for the assembly dimensions. The Service Manual and Service Bulletin function enables the search for English, German, French, Spanish and Italian service manuals and service bulletins. Open the [Manual / Bulletin] search menu. Select a category, pump type, etc. to search for related service bulletins, then indicate the service manual or service bulletin language. A STT parts list can be searched for using a product type or STT name. pull-down menu to search the STT parts list. The Cross Reference function is used to search for a DENSO part number from another manufacturer's part number. Open the [Cross Reference] search menu. Select the manufacturer, part name, and manufacturer part number (or manufacturer type) to search for the DENSO part number.